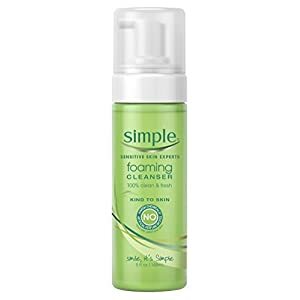 Simple Foaming Facial Cleanser removes oil, dirt, makeup, and impurities by producing a rich, foamy lather that gently cleanses. 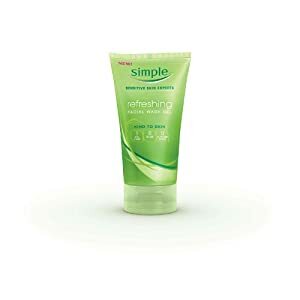 Because a buildup of grime and dirt can irritate skin, by using this cleanser twice a day, your skin will look beautiful and feel fresh all day long. 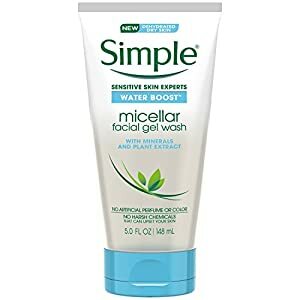 It is a perfect blend of skin-loving ingredients and multi-vitamins that help gently eliminate impurities, clear pores, remove makeup and excess oil, all while maintaining the skin's natural moisture balance. 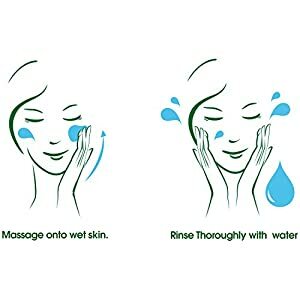 It is easy to rinse off and leaves nothing behind on your skin apart from clean, fresh and hydrated skin. This Facial Cleanser instantly foams so you can enjoy the cleansing experience right away. The cleanser not only cleans your skin but also maintains your skin's natural barrier, leaving skin soft, and feeling moisturized and replenished, perfectly suitable even for sensitive skin.